It’s a very exciting day on the blog today because I am joined by the absolutely brilliant (and all-round beautiful person) Australian romance author, Tess Woods! Tess Woods is a physiotherapist who lives in Perth, Australia with one husband, two children, one dog and one cat who rules over all of them. Her first novel, Love at First Flight, released by HarperCollins in April 2015, received worldwide critical acclaim, hit the best-seller charts in Australia and was voted Book of the Year in the AusRom Today Reader’s Choice Awards 2015 where Tess was also top ten nominated as Best New Author. Love at First Flight was the first HarperCollins Australia digital book to be given a print release in August 2016. Tess’s short story, Destiny in a Day, released in the anthologyHot Stuff: Surfing Love is set in beautiful Cornwall, where she dreams of living one day and Tess is currently working on her second full-length novel, Beautiful Messy Love. When she isn’t working or being a personal assistant to her kids, Tess enjoys reading and all kinds of grannyish pleasures like knitting, baking, drinking tea, watching Downton Abbey and tending to the veggie patch. If you haven’t already heard me raving about how much I enjoyed Love at First Flight you can check out my glowing 5 star review. Thank you so much for joining me on the blog today, Tess. It looks like you had an amazing time at the print launch of Love at First Flight! Can you give us the run-down on how you celebrated? After eleven re-writes and a total of twenty-seven rejections and after waiting more than seven years for this book to go to print – there was no way I was launching small! We celebrated at the gorgeous Sportsman’s Observation Bar which has great views of Scarborough where the book was set. We spent two days decorating the venue until it was a sea of red and white to complement Mel’s dress on the cover of Love at First Flight and the whole evening was Flight themed. We had a twelve-person flight crew – including eight cabin crew serving food on silver trolleys, four cabin crew checking ‘boarding pass’ invitations and a pilot and co-pilot greeting guests after they walked along our ‘runway’ themed entrance carpet to come into the ‘departure lounge’ just like the first chapter of Love at First Flight. The band and even our booksellers from Dymocks dressed up as cabin crew too – and that wasn’t even requested by me, it was a surprise! Then a pre-recorded boarding call from the captain was played and everyone prepared for the flight to take off by gathering around and listening to the lovely MC, Serenity Press publisher Karen McDermott, introduce Monique Mulligan and I for our ‘Stories on Stage’ interview. It was great fun doing my first live interview with Monique. After the interview, I signed books for well over an hour while the on board band, the amazing girl group Velvet Amps, hit the stage and the dance floor quickly filled up while our truckload of gourmet pizzas arrived (it had to be delivered in two lots!) to feed our two hundred passengers. We had a birthday surprise mud cake for one special passenger that we all shared for dessert and then the band and disco kicked on until we ‘landed in Melbourne’ at midnight. People kept telling me that I was missing my own party because of how long I spent sitting there signing books but what they didn’t understand was that that WAS my ultimate party – meeting so many of my readers for the first time was heavenly for me. I loved having a mix of family, friends, my children’s teachers, authors, press and readers all together under the one roof. It truly was one of the best nights of my life! Here are some pics :). Thank you for sharing such wonderful launch photos with us! It’s lovely to hear that you had such a fantastic night and very well-deserved. Love at First Flight was originally published as an e-book. What was the process like to get ready for the print launch? It was an awful lot of hard work from a village of people but so worth it in the end. The eBook version went through a big structural edit followed by a proof read, all of which I was heavily involved in. The cover design team came up with that STUNNING cover (I’m still able to stare it as the minutes tick by). The sales team worked super hard to get the book widespread exposure by convincing all the booksellers just how much they needed my book at the front of their stores. The marketing and promotions team arranged great competitions and other promotional activities such as scoring me a stand at all WH Smith airport shops as August’s Fresh New Talent. The digital design team made all my digitally shareable images and logos, my cover images for social media and they made sure they Tweeted all my news. My tireless publicist worked her fingers to the bone making sure the book landed in all the right hands (like Marian Keyes if you don’t mind) and organising my intense six week book tour – liaising with print, radio and online press, booksellers, libraries, photographers and book bloggers on my behalf. And my publisher oversaw the whole process and fielded daily spam emails from me with a bazillion questions. Quite a monumental effort for all concerned! It’s fascinating to hear about all of the work that went into getting launch ready and how all the different teams work together. And I have to agree, it is a beautiful cover! I really loved the settings of Perth and Melbourne in Love at First Flight. I thought the sunny beaches of Perth were the perfect backdrop for Mel’s ‘dream’ life while angsty old Melbourne was the obvious setting for a torrid and emotional love affair. Since you clearly know both cities so well, what is your number one thing to do in Melbourne and in Perth? Well you said it for Perth, I don’t think you can beat our coastline. We pulled our kids out of school for three months a few years ago and travelled around the Australian coast. Admittedly we cut through Alice Springs so we didn’t see the coast in Darwin but we have seen the rest of the coast and nothing compares to WA’s white caster sugar sandy beaches and aqua waters of the Indian Ocean. For me, you can’t beat the beauty and vibe of Scarborough Beach in Perth which is stunning beach day and comes alive every night with its pub and café culture. My number one thing to do in Melbourne is exactly what Mel and Sarah went to Melbourne for in Love at First Flight – shop! The shopping is AMAZING – it leaves Perth for dead in that area. My favourite place to shop in Melbourne is Bridge Road, Richmond. I do love me a good bargain and I love being outside street shopping more than enclosed shopping centres. I think Perth’s beaches definitely have the edge over Melbourne. Especially at the moment, I almost got blown away the last time I went for a walk on the beach! And finally, I’m dying to know if you have been working on anything new lately? I’ve actually finished the loose sequel to Love at First Flight, called Beautiful Messy Love – it’s about Mel’s children who are teenagers in Love at First Flight but who are now in their twenties. Nick is Australia’s highest paid AFL player with a notorious reputation whose world is turned upside down when he has a chance meeting with Anna, a Muslim refugee with a tragic past. And Lily is a student doctor who finds herself falling deeply in love with Toby, the husband of her dying cancer patient. Love at First Flight was told from Mel and Matt’s perspective – I’ve doubled that this time! Beautiful Messy Love is told from Nick’s, Anna’s, Lily’s and Nick’s perspectives. I’m crazy in love with this book – I like it so much more than I liked Love at First Flight and I can’t wait to share it with my readers although I’m sure it’s going to cause an outrage among certain groups of people when it’s released. It makes Love at First Flight seem like a Little Golden Book by comparison….stay tuned! The publishing industry has shifted from a one-sided form of communication that was dictated by the mainstream media to one where almost anybody can participate. Book culture is now a participatory culture and this means that anybody who reads, writes, or publishes books is experiencing these changes in some form. The two biggest changes are obviously E-books and online book retailers like Amazon. With E-readers we now have the technology to store an almost infinite amount of books and we can take them with us anywhere we go. 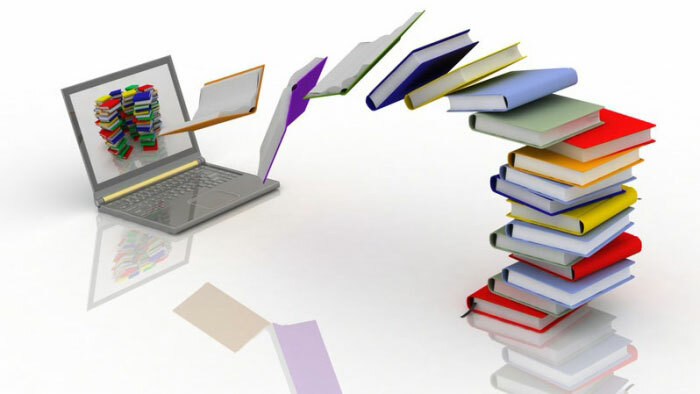 Online book retailers allow us to purchase almost any book we like with the click of one button and are able to deliver it to our devices instantly. Readers will never have to worry about running out of books again! Along with an increase in the choice of books comes the problem of deciding which books to read. The rise of book blogs and ratings platforms such as Goodreads solves the issue of choice by allowing readers to take advantage of the Collective Intelligence of all members to help them decide whether a book is worth reading. Now readers are also able to participate in the conversation about the books they read. Any time that you ‘like’, ‘tweet’, review, or post about a book you are adding to the story around it. Instead of a Read Only Culture book culture is now a Read/Write Culture. Self-publishing has made it much easier for authors to get their books out there. Writers now have much more control over their books and a greater share of their book sales but now have to take care of things such as marketing, copyright laws, cover designs, editing and proof-reading. I cannot stress how vital professional editing and proof-reading are for self-publishers! Betty Sargent explains why all self-published authors need a good editor at Publisher’s Weekly, a fantastic resource for authors. There is now also the expectation that authors need to have an online presence and actively engage with their readers. How active you choose to be on social media is a personal choice but it is worth pointing out that even well-established best sellers such as Stephen King, J.K Rowling, and Anne M. Martin are active on Twitter. The increase of self-publishing has led to more competition for traditional publishing houses, but there are also some benefits. Publishing, marketing, and distribution costs are much lower now than they were previously and the Internet has opened up opportunities for publishers to reach a global market. There is also a lot more opportunities for professional editors and proof-readers to work on a freelance basis. This is just a short list of the recent changes to book culture which have been brought about by Digitization and Convergence. I aim to use Self-Publishing Talk as a forum to discuss these changes in the context of my Internet Communications studies and hopefully offer some useful advice and thought provoking ideas for authors, readers and publishers. The publishing industry has shifted from a one-sided form of communication that was dictated by the mainstream media to one where almost anybody can participate. Book culture is now a participatory culture and this means that anybody who reads, writes, or publishes books is experiencing these changes in some form….